Sense of Touch is burning up the Hot & Trending list of Kindle Scout nominations for the second week of its one month campaign to receive a publishing contract. Why? Readers want to know more about her. 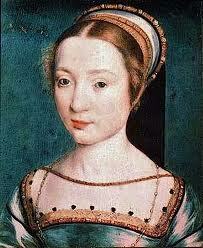 Anne of Brittany is a fascinating historical figure about whom almost nothing has been written in English. Her dates? 1477-1514. She reigned as Queen of France after Eleanor of Aquitaine (1122-1204) and before Catherine de Medici (1519-1589). This week I uncovered a powerful and poignant painting of her with husband Louis VII by court painter Jean Pichore. The name of the painting says it all: Douleur du Roi sans Fils. Translation: Sorrow of the King without a Son. Before you feel sorry for Anne of Brittany, don’t. She may not have brought a son to adulthood, but she succeeded with two daughters, Claude of France, and Renée of France. Claude of France married Francis I, known as the Renaissance King, and produced Henry II, husband of Catherine de Medici. Anne’s Breton blood found its way into the French royal bloodline through her daughter, not her sons. Her leadership skills, authority and self-confidence have informed French women ever since. Long live Anne of Brittany, vive Anne de Bretagne! Speaking of sons, she had many. All of them either stillborn, dead hours after birth, weeks after birth, or by age three. 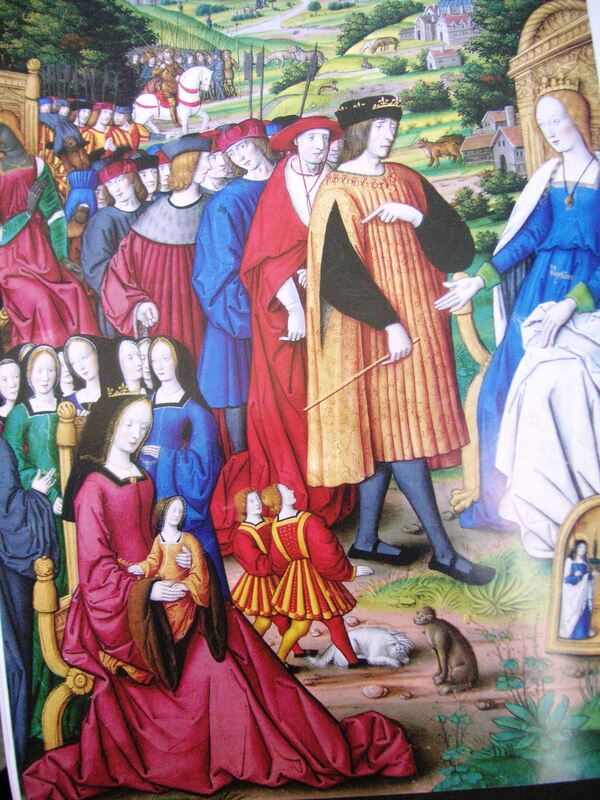 Let’s take a look at the full Jean Pichore painting of Anne of Brittany with second husband Louis XII. We see Anne of Brittany, Queen of France looking regal, confident, not sad at all. Defiant, in fact. Why? 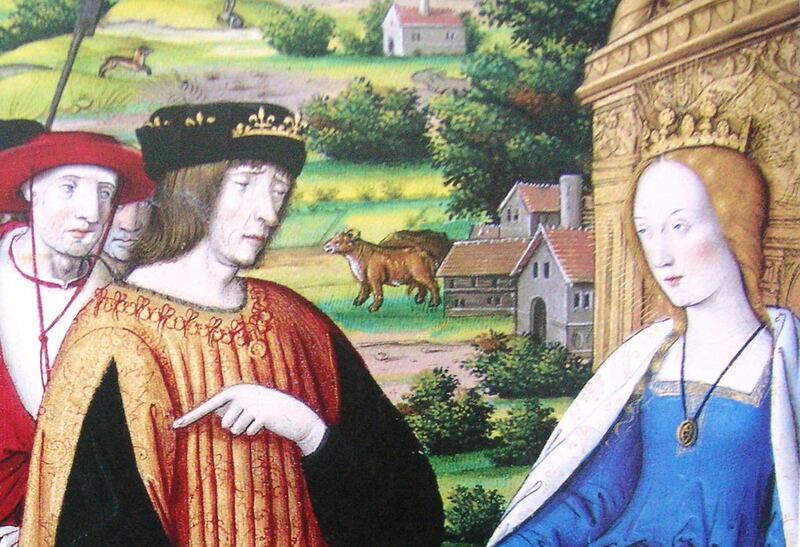 She’s pointing to their daughter, Claude of France. “What’s wrong with the daughter I gave you?” she appears to be saying. Who’s in the hot seat here? Anne. Who’s the power on the throne? Anne. Who’s appealing to whom? Louis and his court are appealing to Anne. Who’s the boss? Anne. She was also a loving and deeply beloved wife to both of her husbands, Charles VIII of France before Louis, and Louis XII of France. The more I learn about this French Renaissance queen, the more I fall in love with her. Anne of Brittany is an amazing historical role model for girls. Please nominate my book about her here. Keep Sense of Touch on Kindle Scout’s Hot & Trending list until campaign ends Oct. 20. It’s FREE to vote and if Sense of Touch is selected for publication you will receive the eBook free. I can’t wait to share more with you about Anne of Brittany.